Jacksonville Post 88 took the lead in the 11th inning of this July 1986 game and Pete Freeman helped preserve it - barely. Freeman ended up with the bases loaded, recording two popup outs on the way. The final out came by way of a strikeout, notching the Post 88 win, according to The Orlando Sentinel. Freeman went on from Post 88 to play at Jacksonville University and in the pros. His pro career, though, was brief, just a single season. Freeman's pro career began and ended in 1990, signed by the Phillies as an undrafted free agent out of Jacksonville University. Earlier in 1986, Freeman helped notch another Post 88 win, giving up three hits against rival Gainesville. At Jacksonville University, Freeman threw four innings of scoreless relief in a February 1990 game, picking up the win. The reliever saved five games overall, leading the team. 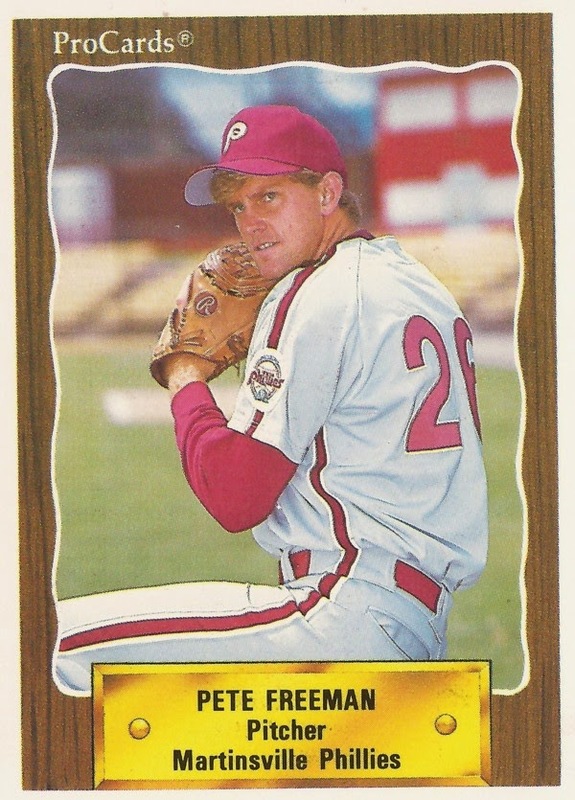 Freeman then went on to play with the Phillies in 1990 at rookie Martinsville. He got into 20 games, all in relief. In 39.1 innings of work, he gave up 19 earned runs for a 4.35 ERA. He had no wins and one loss. He also had no saves. It was his only season as a pro. Pete Freeman was also the winning pitcher twice against the University of Georgia Bulldogs in 1990. He was the only pitcher to have notched two wins against the eventual College World Series champions. In an outing against the Elizabethton Twins, Freeman threw 3 2/3 innings in relief and struck out 10 of the 11 batters he faced. In only 39.1 innings with the Phillies, Freeman struck out 53 batters. Thanks for the info. Do you know him?